Carter started out in Napa Valley, but he had an itch to do his own thing in Washington. Today, he is rightfully viewed as a brilliant and insightful pioneer. THIRTY-FIVE years ago, a young Brian Carter made an extraordinary decision to leave the relative comfort and likely success of California’s Napa Valley for the new frontier of winemaking. In 1980, Washington was more famous for volcanic eruptions than wine, and Carter’s friends and colleagues wondered aloud: Was he crazy? But Carter has never been risk-averse. He made his first batch of wine when he was 15 years old, and the purple splotch on his mom’s kitchen ceiling — testament to aggressively fermenting blackberries — was a lesson in both science and humility. Brian Carter Cellars 2010 Tuttorosso, Yakima Valley, $34: This alluring blend of sangiovese, cabernet sauvignon and syrah is styled after the famed and expensive “Super Tuscan” wines of Italy. It exhibits rich notes of raspberry, cinnamon, cherry and roasted marshmallow, all backed by elegant tannins. Brian Carter Cellars 2010 Byzance, Columbia Valley, $34: Inspired by the reds of France’s southern Rhône Valley, this blend of grenache, syrah and mourvèdre unveils hints of black currant, cola and juicy blackberry, all wrapped around plump and approachable tannins. Brian Carter Cellars 2009 Solesce, Columbia Valley, $55: Carter’s flagship wine is a blend of the five classic Bordeaux reds (cabernet sauvignon, merlot, cabernet franc, malbec and petit verdot). It is his finest and most cellar-worthy effort as it reveals elegant and luscious dark fruit, cocoa powder and espresso, all backed by perfect balance. After graduating from Oregon State University, Carter continued his studies at the University of California-Davis before landing at world-famous Chateau Montelena in Calistoga. But Carter’s heart was in the Northwest, so home he came. He quickly made his mark with Paul Thomas Wines, where his 1983 cab beat out Chateau Lafite-Rothschild in a New York tasting. Then he helped launch such wineries as Silver Lake, Hedges, Soos Creek, McCrea and Camaraderie before heading to the Yakima Valley in 1991 to start Washington Hills Cellars. Like many winemakers, Carter had an itch to do his own thing. In 1997, he quietly created Brian Carter Cellars, releasing his first wines in 2000. He left Washington Hills in 2002 to direct all of his efforts on his eponymous label, ultimately opening a tasting room near Chateau Ste. Michelle in Woodinville. Since starting Brian Carter Cellars, he has put his focus into classic European-style blends, taking inspiration from France, Italy, Spain and Portugal. With his drive to excel and 35 years of Washington winemaking experience, Carter knows what he wants. 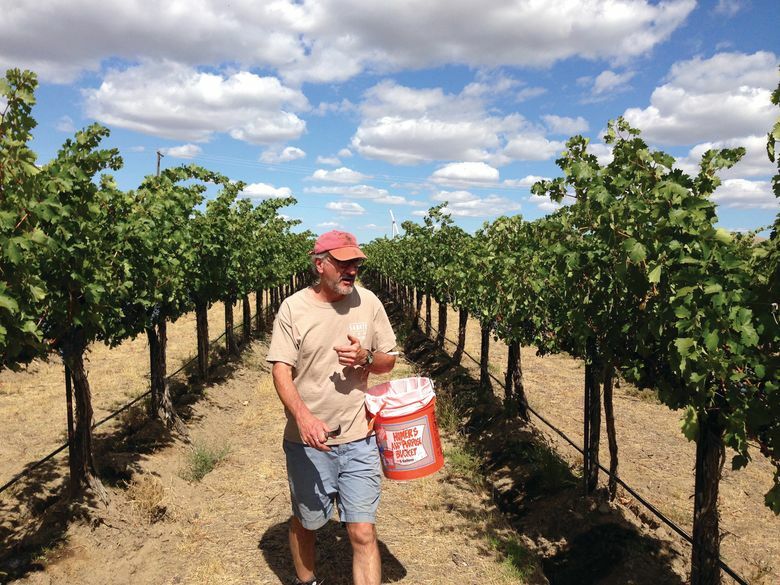 He puts thousands of miles on his Prius every summer and fall as he prowls the vineyards of the Columbia Valley, working with the state’s top growers to coax the best out of their grapes. Had Carter decided to stay in Napa all those years ago, he no doubt would have been successful. But he would have just been another winemaker. Today, he is rightfully viewed as a brilliant and insightful pioneer. And anything but crazy. Andy Perdue is a wine author, journalist and international judge. Learn more about wine at .